The Columbia University Libraries online catalogue is a primary tool for locating RBML materials. This portal provides access to records of archival collections at Columbia University Libraries, including finding aids, collection descriptions and available digital content, such as online exhibits and images. Use this portal to explore the collections of the Columbia Center for Oral History (CCOH) Archives at RBML. The Digital Library Collections (DLC) website is a gateway to digital reproductions and descriptions of photographs, posters, drawings, objects, ephemera, and manuscripts as well as other archival material from Columbia's rare and special collections. 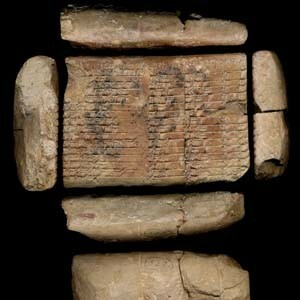 The Cuneiform Digital Library Initiative (CDLI) is an international digital library project aimed at putting text and images of cuneiform tablets online. The RBML's collection, searchable here, is made up of more than 500 cuneiform texts, diverse in contents, mostly from the Ur III period. Digital Scriptorium is a consortium of libraries and museums, including the RBML and other Columbia University libraries, committed to free online access to their collections of pre-modern manuscripts. All the medieval and Renaissance manuscript holdings of the RBML have short descriptions and images on Digital Scriptorium. In 1995 the Advanced Papyrological Information System was started to create a collections-based repository of information about and images of papyrological materials (e.g., papyri, ostraca, wooden tablets, etc.). 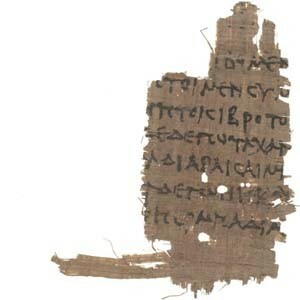 Now with Papyri.info, it is possible to view descriptions and images of items in the RBML collection. A core resource in locating research material in the RBML is the finding aid. Simply put, a finding aid is a descriptive document created to help patrons find research material. Types of finding aids include file lists, inventories, container and folder lists, card catalogs, databases, published guides—virtually anything that allows one access to large amounts of material. All collections can be found in CLIO, the Columbia University Libraries online catalogue. For tips on finding archival material through CLIO see the Archives and Manuscripts Help Page. Finding aids for many collections are accessible via the Archival Collections Portal. Patrons can search across all repositories and collections held in the Columbia University Libraries. As part of our commitment to intellectual accessibility, the Rare Book & Manuscript Library (RBML), informs the public of the collections in our custody, even if they are not fully accessible to researchers, and make basic collection-level records available immediately upon accession. We make every effort to give our researchers access to the collections, whenever possible, by doing a quick assessment of what can be seen without processing. An unprocessed collection might be partially or fully closed for research if the materials in question are excessively fragile, impossible to locate due to lack of arrangement within the collection, or contain sensitive information. Collections that are unprocessed have a restriction note in CLIO that states,"Material is unprocessed. Please contact rbml@columbia.edu for more information." If the collection has been previously requested and evaluated for access by an archivist, the outcome of that review will be reflected there as well. How do I request access to an unprocessed collection? Please contact rbml@columbia.edu describing the unprocessed collection you wish to access. An archivist will review the request, and will determine whether the material can be made available in the reading room. You should hear from us within three weeks. What should I expect when visiting RBML to use unprocessed archival materials? If the collection can be made available, please confirm the date and time of your prospective visit with RBML staff before arriving; the materials will be ready for your viewing at that time. You may also want to keep in mind that the box numbers and other citation information for the documents in the collection are subject to change during processing. Because such collections are unprocessed and somewhat fragile, you will be seated at one of the five reading room tables closest to the manager's desk. This will allow the reading room manager to more easily assist you with any handling issues that may arise, and help to prevent damage to the materials. Please be especially careful when handling materials from unprocessed collections. If you see something that you feel unsure about handling, either because of its condition or its format, do not hesitate to ask for assistance. We require all researchers to use gloves when handling photographs that are not encased in polyester sleeves. Gloves are available in the reading room for researchers to use. We cannot provide access to original time-based media material which has not first been reformatted for preservation. Researchers are welcome to examine archival time-based media items and decide whether they wish to place an order for Audio/Video reformatting. If copyright and/or condition restrictions apply, it may not be possible to digitize a requested item. Please note that A/V reformatting is handled by an outside vendor and typically takes 6 to 8 weeks. As when handling any other archival collection, please remove only one folder from a box at a time, and keep all materials in the same order that you found them. An unprocessed collection may not be arranged in any way that makes particular sense, but maintaining it in its current order allows us to more easily ensure that all items are accounted for when the collection is processed. CLIO, the Columbia University Libraries online catalog, contains records for approximately 80% of the ca. 450,000 cataloged volumes in RBML’s rare book collections. The RBML card catalog contains locally-made records for many of the books that are not yet cataloged, as well as additional name and subject entries for some titles. Researchers are advised to use both CLIO and the card catalogs when searching for RBML materials. Many of the titles not included in CLIO can be found in the National Union Catalog, Pre-1956 Imprints (London: Mansell, 1968-1981). For an overview of our over thirty book collections, see the list of Cataloged Book Collections. Uncataloged Book Collections describes our largest collections not represented in either of the main catalogs. There are also specialized card catalogs, indexes and files available in the RBML reference desk covering specific genres, collections or subjects, a chronological card file of pre-1875 imprints, and a file of books by selected printers and illustrators. For additional help, contact rbml@columbia.edu. A codex manuscript is a written (not printed) work bound as a book. RBML’s codex manuscript collections include Western manuscripts in collections distinguished by subject, and non-Western works in Arabic, Persian, Turkish, Hebrew, Sanskrit, and other languages. 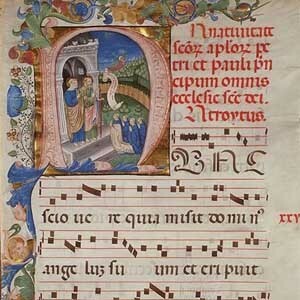 All the medieval and Renaissance manuscript holdings of this library, as well as those of other Columbia libraries (Barnard, Law, Music, Teachers College) have short descriptions and images on the Digital Scriptorium website. Cards for post-1600 Western codex manuscripts are filed in the manuscript/document card file in the RBML reference area under author. There is also a shelf list card file for individual collections. For General Manuscripts, there is a binder at the reference desk with indexes by date and by language. See More Details on Codex Manuscript Holdings for a list of collections and languages we hold. For additional help, contact rbml@columbia.edu. The Columbia University Archives staff has put together some Research Guides to help you take advantage of our holdings. For a full guide on how to find the different collections of Master's Essays and dissertation and information on how to request copies, see the University Archives Research Guide. If you need help in identifying what materials you need to learn more about the history of Columbia or to find information on a former Columbia student, faculty or staff member, please contact uarchives@columbia.edu.